We are in process of rolling Gainsight out to anyone in the organization in leadership or a client facing role. One we've fully implemented Gainsight we will have about 50% of our employees using Gainsight. Gainsight allows us to more systematically service our client, ensuring that we have standard play books for all of the common issues we run into, as well as, allowing insight into potential problems (e.g. drops in usage) before they have a chance to be detrimental to the relationship. Identifying issues, such as drops in usage, before they are obvious. This allows us to address any potential risks before they have a chance to have a lasting negative effect on the relationship. Standardizing how we respond to common issues, and allowing new employees to ramp up more quickly. By using the playbooks we are able to standardize how we fix common problems and ensure that the best practices are used by everyone... even new employees. Ensuring that repeated tasks, such as quarterly business reviews (QBR), happen on time for clients based on things like their Customer Tier. We have the ability to automate the CTA's to kick off every three months for tier one clients so that we never miss another QBR. The implementation process has been much longer and more complicated than initially expected. Would be good to be able to set CTAs based off of a scorecard, so if a score goes stale, or if a score drops a CTA is automatically kicked off. Currently there is no way to do that. I think Gainsight is a great tool for any company that has high touch interactions with their customers on a regular and ongoing basis. Having said that, I think any company could find value in the system, especially with the automation tools they are constantly working on improving, such as copilot. My only big complaint has been the implementation process. Review: "Gainsight is the way to go to ensure Customer Success!" It is being used by our Customer Success Account Managers and our Executive team. It helps us to understand our relationships with our customers, mitigate risk, and solve business problems and develop our relationships. 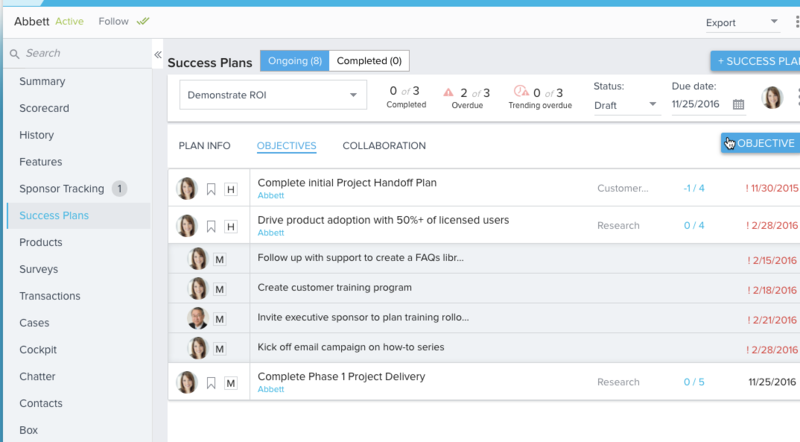 For Salesforce customers, it is a huge plus! 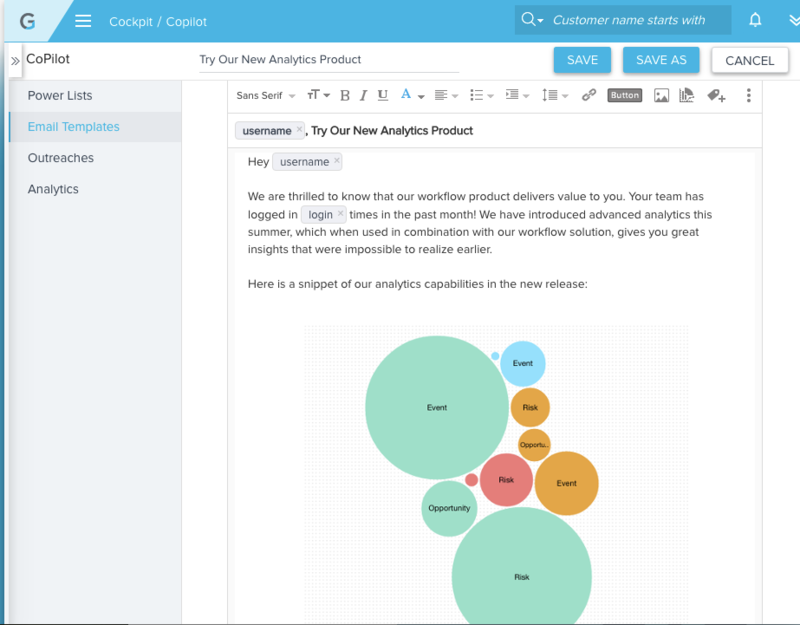 Gainsight Review: "One Way to Gain some Insight on your customers"
Gainsight is used by the entire organization, but mostly by the CSMs. 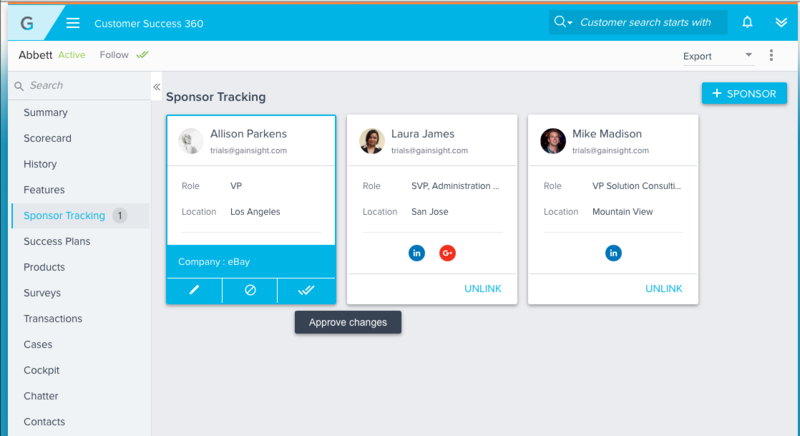 The tool provides a consistent proactive way to manage customers along with providing the entire organization a 360 degree view of each customer. Customer Scoring - health score for every customer. 360 [degree view] - in one or two minutes, all the pertinent information on a customer can be consumed (in one place). Parent / Child relationships within an account - One account may have many "deals" or "opportunities" being worked by different CSMs. Data Analysis / Tools to prove the health measures being collected/used are truely a direct correlation to churn. For SFDC customers - a natural fit. Gainsight: "Changing the way Customer Success operates"
We purchased Gainsight to help us better monitor account health, to provide guidance to our enterprise account management team on when to reach out to customers, and to send automated emails based on usage and health to our base of more than 25,000 small business customers. 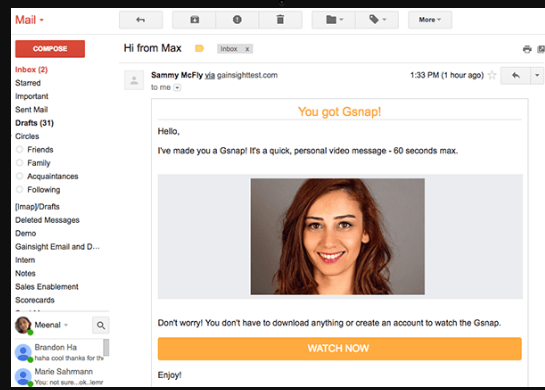 These emails are targeted based on individual account usage, and are designed to help customers identify and adopt new features within the system. We're also using Gainsight to send and record NPS surveys. The product is mainly used by our enterprise account management, and customer success teams. 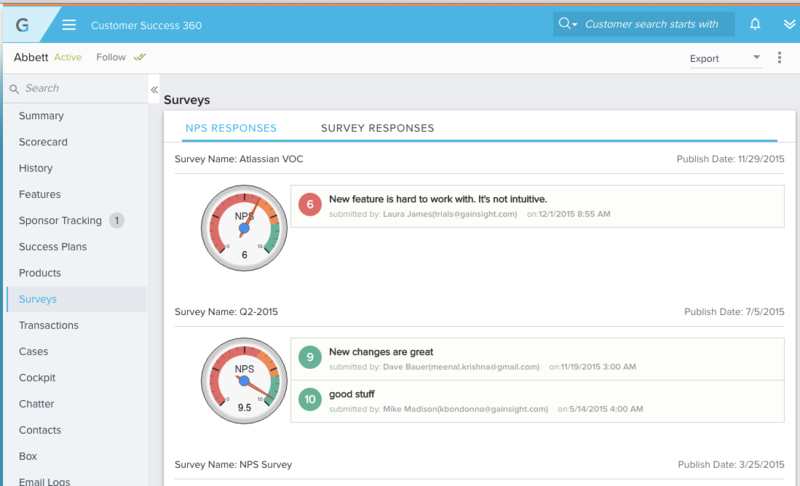 NPS surveys: Previously we were using the Salesforce survey tool, and had to manually send out the email each month through Marketo, then create separate Salesforce reports for feedback. With Gainsight, we're able to set an automated email to send to customers at the right time, and collect a rolling score that is easy to report out to the team. Customer Success Strategy: As the leader in this industry, Gainsight has done a great job of educating customers and non-customers alike on best practices for CS teams. Copilot: We recently sent out our first copilot email in an attempt to increase adoption of one of our newest features. We had an amazing response, and we're looking forward to setting up more emails that will automatically send to customers based on their individual usage of our product. 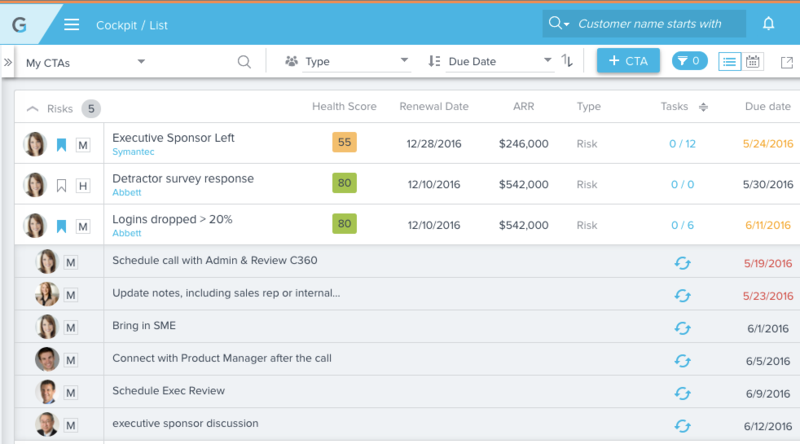 CTAs for Enterprise: Our account management team is able to receive alerts when customers need some help from us to stay healthy. The team is loving how easy it is to get alerts, and our customers love that we're so much more attentive to their usage and needs. Duplicate email addresses: This is largely due to our data issues - we have multiple contacts across accounts with the same email address. This results in some accounts receiving duplicate emails for each account their associated with. Although we have only been with Gainsight for a few months, they've done a great job with taking our feedback and finding workarounds. For this particular issue, they've already built a fix in their system, and we're just waiting for it to be released in December. Gainsight does a great job helping with implementation, but a lot of how fast you can implement is dependent on your own systems. Before committing to a timeline, I recommend looking deeply into Google Analytics and MixPanel to make sure you're set up to be able to quickly connect to Gainsight. It is also extremely important to have your Salesforce administrator on board with the project and available during Success Express and initial implementation calls. Gainsight Review: "Thanks for reading!" 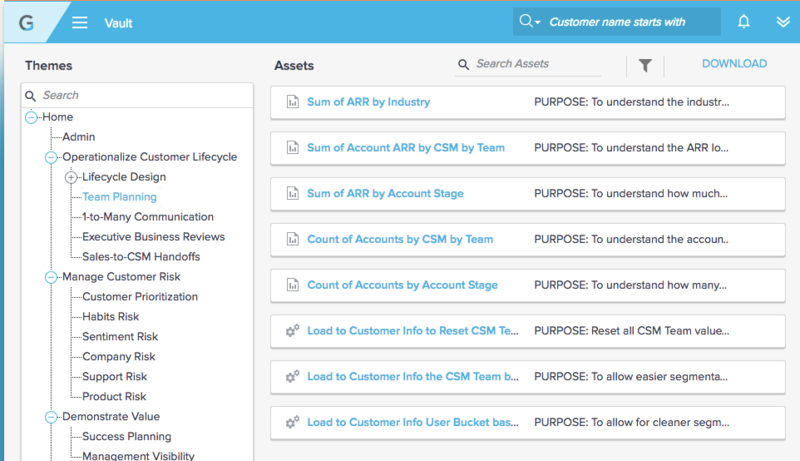 Gainsight is being used by the customer success department to keep track of our clients during their life cycle. We use it to track their success and health as a business partner and keep track of how engaged they are and how much they're using the platform. Reporting, not easy to set up, but great to finally see. Integration with Salesforce, makes things way easier. Support, they are very helpful. How difficult it is to set up the various reporting [options]. The key questions to ask while selecting a platform like Gainsight, are to ask how this software can benefit you and will it be cost effective. 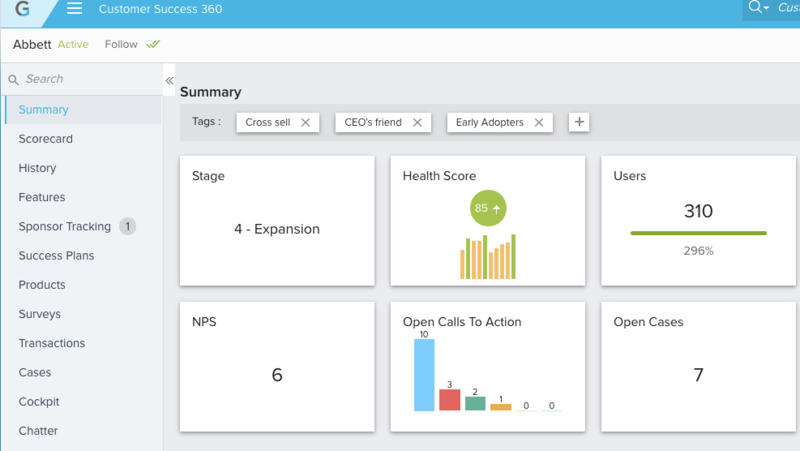 User Review: "NPS for Gainsight"
We are using Gainsight to track next steps with customers, monitor the overall health of a book of business, and automate the processes. Gainsight is only rolled out to the Customer Success Department. It allows us to see a snap shot of health for each account and automate certain processes. The dates on CTAs are completely off and really hard to use. When creating a CTA you should be able to apply a playbook at the same time, not in another step. When creating reports in Reports 2.0, often the save function does not work well and the software is very buggy in general. Gainsight is definitely a customer success tool, but there is still a lot that needs to be worked out. User Review: "Gainsight Positive Experience"
Gainsight helps us to have an overview of our customers' lifecycle and health. We can see their activities and product adoption at a glance in one place. Gainsight Review: "Leading the Customer Success Technology & Practice Shift"
Gainsight is being used for account management and customer success management (CSM) across both corporation and enterprise buckets. Competitive review is a must if for nothing more than education.